Website: I’m all over the place. Probably best to just go here. You’ll see there my two active webcomics and my Patreon. Other than that, my Instagram is here. Favorite Comic Book Character Now: Never really had one. I’m a fan of artists and authors – characters never were that important to me. Latest Work: 2018 was really active. 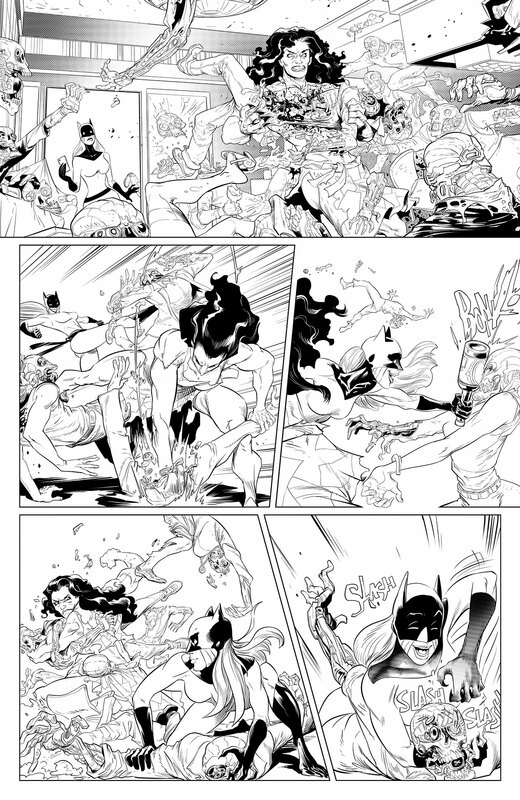 I did two comics for Marvel: Monsters Unleashed #10 and Hulk #11 with Mariko Tamaki. 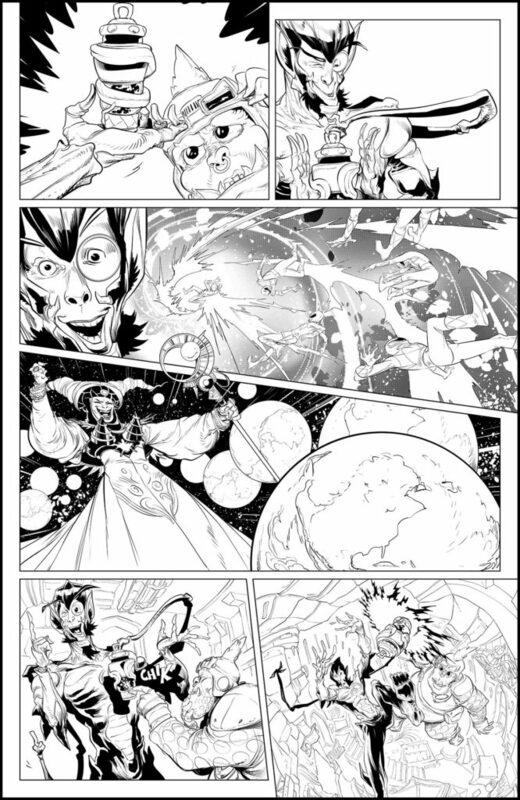 And I did the backup ‘light’ story in Boom’s Power Rangers. Plus, my two webcomics. Bachan: Too European to be American, too American to be European. Nuveau-Mexican? Whimsical? Not totally cartoony, not totally realistic. Whenever I try to do “serious” stuff it looks sort of “light.” I’ve given up trying to define my work. Bachan: VERY important, even before I knew exactly what they were. I was fortunate in that both my parents were into comics. My mom was into French Bande Dessinée and my dad into Charlie Brown (Peanuts) and OLD MAD Magazine. (Kurtzman) I grew up watching all those things and trying to draw what I saw. And I say “watching” instead of “reading” because back then I didn’t understand either French or English. It was just a totally visual experience. Bachan: Really early on I was both creeped out and fascinated by the old Harvey Kurtzman MAD, particularly the Wally Wood stories. Then, as a kid, I got Spanish language translations of French comics, and loved those. I spent a lot of time drawing but I didn’t think I would DO comics. I always thought I would end up as an architect or engineer. When I was 15, I came across superhero comics for the first time – DC mostly – and got really impressed, particularly with the work of John Byrne, Alan Davis and later, with Arthur Adams and his old stuff like Longshot. That’s when I decided I wanted to do this for a living. Bachan: Not really. I didn’t think I would get to enter the American industry. Back then there was no internet and no real contact with the business outside of my country… Mexico, by the way. So all I wanted was to do comics here. I got my first job when I was 18 drawing in Novedades publishers here. I was nowhere near competent, but they produced so many comics back then, that they had really low quality standards, so I got in relatively quickly. Bachan: I’m not sure I’ve had a big break as such. It’s been more like a very long list of better opportunities that start and then stop. But the next time I start again, I somehow end up in a better place. It’s been extremely gradual for me. And it still feels like a struggle sometimes. Bachan: I think the big thing for me was coming to the realization that I don’t need to convince anybody for me to do comics. Comics are just printed paper joined together with staples. I stopped trying to convince people that I was good, and just did fanzines. Those fanzines then became my portfolio and that work ended up opening doors, sometimes without me even trying. It’s the same thing today, only it’s webcomics instead of fanzines. I never spent a lot of time in the public relations part of this. Bachan: Yeah. Bulbo. He’s just too easy to draw. Bachan: I’d love to do Judge Dredd some day. I love the tone of that universe. Again, not quite so realistic or serious, but not that cartoony either. I’m really attracted to that in comics. Bachan: Basically, I’d love to just do comics and live off of that instead of splitting my time doing storyboards or animatics for advertising. (That takes about 75 percent of my time drawing.) If I could do that with my own characters, and stories to boot… that would be THE DREAM! Bachan: The two things that kept me working all this years are speed and adaptability. And I think I can make my characters ‘act’ convincingly. Bachan: Not really. I went full digital back in 2006, and haven’t looked back since. I even still draw on an Intuos Wacom tablet. I developed the skill to draw looking at the screen while my hand is drawing out of my sight. I don’t think that’s needed anymore, but I still do it. Bachan: Based on my experience, to just start. Do a webcomic, produce a LOT. 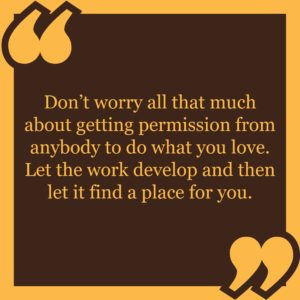 Don’t worry all that much about getting permission from anybody to do what you love. Let the work develop and then let it find a place for you. Bachan: Used to love it, now I’m a bit tired of it. But I love the opportunity conventions give me to meet peers and learn different ways to do stuff. Nowadays it’s the social element of conventions that keep me going to them. TrunkSpace: What else can fans of your work look forward to in 2019? Bachan: I’m finishing the third part – and final – of Nirta Omirli. A science fiction series I’ve been working for AGES for Humanoids Publishing in France, written by the amazing JD Morvan. That should come out before the year ends. Oh! And the second Bill & Ted book is about to come out in less than a week… I think!